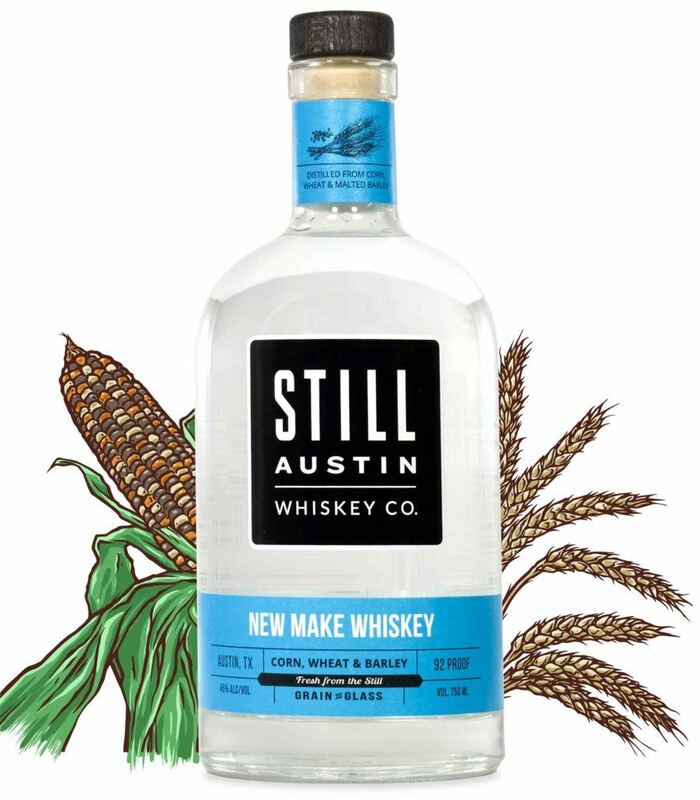 Still Austin New Make Whiskey - Still Austin Whiskey Co.
New Make is a term for whiskey taken straight from the still that only briefly touches oak so it’s in its purest form. Since we can’t lean on the magic of the oak barrel, we take care to craft a clear spirit emphasizing the terroir and taste of pure, locally grown corn, red wheat and malted barley, never sweetened or artificially flavored. Fresh local grains and a unique fermentation process combine to deliver bold, grain-forward flavors of fresh-baked bread, with light notes of caramel. 72% Non-GMO white corn, 23% wheat, and 5% malted barley.